The relaxing and analgesic properties of CBD have been found to be effective not only for humans, but for our furry friends, making CBD products a trendy new alternative to the opioids often prescribed to pets. As a result, the CBD-for-pets segment is witnessing some of the fastest growth – in terms of both demand and profits – in the hemp-derived CBD market today, with an expected 5-year CAGR of 195%. Companies like Pet Releaf are increasing their stake in the over-the-counter (OTC) and prescription pet medicine markets by putting CBD’s healing properties to work for man’s best friend. Pet Releaf is an industry leader in pet-specific CBD, with products now on shelves in thousands of independent pet shops throughout the country. The brand was one of the first in the space, and has garnered a large following since its launch in 2015 by emphasizing the safety of its all-natural products while relating to customers by sharing the owners’ personal story of CBD’s positive effect on Mattie - the family’s collie. Pet Releaf’s hemp extract tincture is designed for dogs who suffer with anxiety or chronic pain, as an alternative to heavy sedatives. It can be administered orally, or – in the case of pets prone to squirming or running (not an uncommon occurrence) – pet owners may alternatively deliver the oil on top of a small piece of food or dog treat. In fact, Pet Releaf’s recently developed liposome tinctures are more absorbent than standard oils, for administering in pet food without losing product. The concentration of the oil tincture shown here is highly potent, with 500 mg of CBD in a one-ounce bottle, and is designed to last roughly two months when given daily. At $85 per bottle, it costs roughly $1.40 per day per pet to administer as suggested, placing it at a significantly higher price point than other supplements competing on the mainstream OTC pet market today. However, as evidenced by Pet Releaf’s rapid growth, a vast number of pet owners are willing to eat this cost, especially when the product serves as a viable alternative to prescription pet products that may be pricier and carry negative side effects. With CBD’s legalization, pet owners looking for an effective alternative to pricey veterinarian-prescribed medications will turn to CBD in much greater numbers, especially as competition and economies of scale drive prices down. The American Pet Products Association(APPA) estimates more than two-thirds of U.S. households own a pet, and projects total spending on OTC pet meds alone to exceed $15 billion in 2018, the market potential for pet CBD (both prescribed and OTC) is enormous. 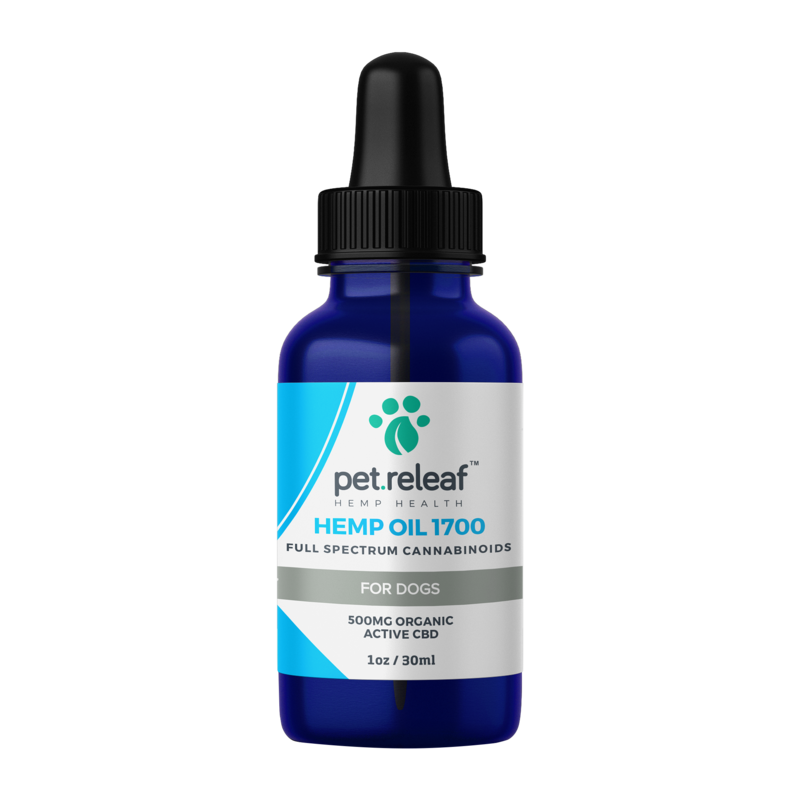 Pet Releaf’s hemp oil, as well as competing pet CBD tinctures, will be well-positioned to tap into this growth.